The Bed & Breakfast portrait-style gas fireplace is designed for intimate spaces such as bedrooms, baths and kitchens. With a 16,500 BTU maximum input this fireplace heats up to 650 square feet. The Bed & Breakfast gas fireplace features the award winning Ember-Fyre™ burner and 303 square inches of high quality, high clarity glass that comes standard with the 2015 ANSI-compliant invisible safety screen, increasing the overall safety of this unit for you and your family. 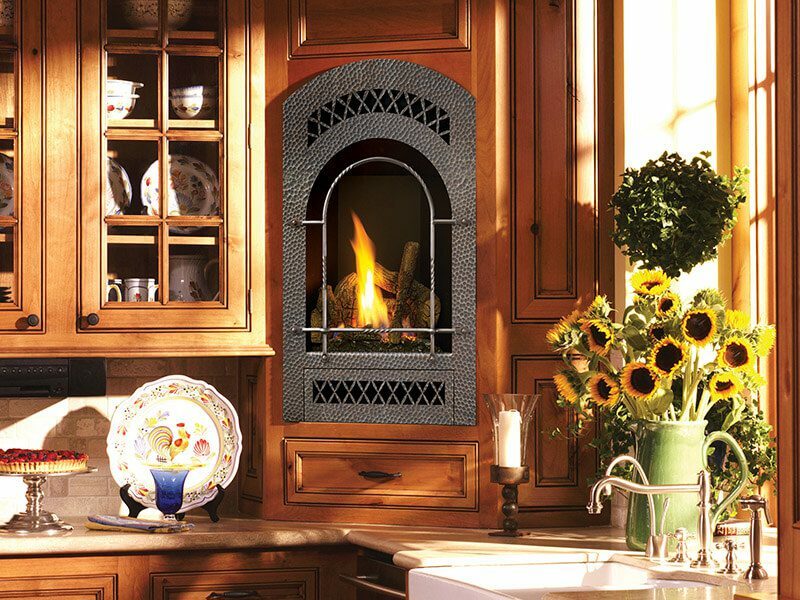 Practical, efficient and beautiful - The Bed & Breakfast gas fireplace gives you the ability to add the beauty of fire to any room in your home.